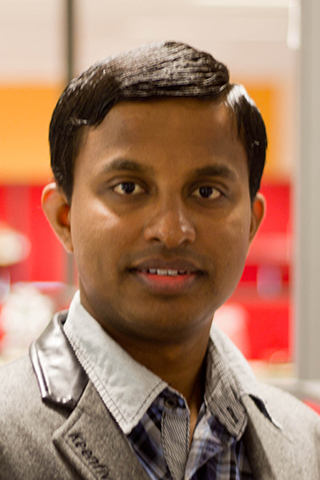 Buddhi Wijerathna is a senior research fellow at the Centre for Autonomous Systems at University of Technology Sydney (UTS:CAS). He gained his PhD from UTS in 2015 in robotics from UTS:CAS. He has worked in multiple industry collaborative research projects. Currently, he is working on a collaborative research project with Roads and Maritime Services NSW to build a maintenance robot for the Sydney Harbor Bridge. He also worked in The Advanced condition assessment and failure prediction project in collaboration with Sydney water and 15 other water utilities. He received his B.Sc Engineering degree, in Electronic and Telecommunication Engineering with first class honors, from the University of Moratuwa, Sri Lanka in 2011 and worked as a research engineer in few organizations. He is the Sri Lanka’s first ever Olympiad medalist (Bronze) in Physics at the 8th Asian Physics Olympiad, 2007. His current research interests include Infrastructure Robotics, Electro-magnetism, Magnetic flux leakage, Machine learning, Mechatronics, Robotics, and Automation. Electronics Engineering, Infrastructure Robotics, Electro-magnetism, Magnetic flux leakage, Machine learning, Mechatronics, Robotics and Automation. Wijerathna, B, Falque, R, Kodagoda, S & Dissanayake, G 2016, 'Linear approximation for mapping remaining wall thickness using a magnetic flux leakage sensor', Australasian Conference on Robotics and Automation, ACRA, pp. 240-247. © 2018 Australasian Robotics and Automation Association. All rights reserved. Use of an unconventional sensor for mapping the remaining wall thickness of a pipe is presented in this paper. This is achieved through the development of a sensor model relating the measurements from a Magnetic Flux Leakage (MFL) sensor to the environment geometry. Conventional sensors, such as laser-range finders commonly used in the robotic community are not able to infer thickness profiles of ferromagnetic structures such as water pipes when the surface is covered with corrosion products. Sensors based on electromagnetic principles or ultrasound are the methods of choice in such situations to estimate the extent of corrosion and predict eventual failure. The general relationship between readings from electromagnetic sensors and the environment geometry is governed by a set of partial differential equations (Maxwells equations). However, in the case of an MFL sensor, it is demonstrated that a linear combination of the thickness profiles can be used to adequately model the sensor signal. Parameters associated with the sensor model are obtained using a two-dimensional finite element simulations. Extensive simulation results are presented to validate the proposed method by estimating a remaining wall thickness map of a realistic pipe. © 2015 IEEE. Differences in locality in a structured environment cause variations in the reflection of an emitted acoustic wave. This paper exploits the above principle to propose a novel method of robot localization on a 2D map. The work brings novelty by using a simple acoustic emitter and a receiver for robot localization as opposed to exteroceptive sensors such as lasers, cameras, sonars and electromagnetic sensors which are conventionally used. This method requires only one sound emitter and a receiver in addition to odometry data to assist 2D localization of any mobile platform located in a pre-explored structured environment. The paper demonstrates the method through simulation by using Finite Element Analysis to solve the Helmholtz partial differential equation of acoustic wave propagation on a 2D map, and using a particle filter to correct the odometry through acoustic observations. Results show that the proposed method can effectively correct the odometry of a mobile platform in a structured environment. When compared with conventional exteroceptive sensors, compact installation and cost effectiveness come as practical advantages when implementing this method. Magnetic Flux Leakage (MFL) is a commonly used technology for non destructive evaluation of ferromagnetic materials. MFL in general is used to estimate isolated defect geometry. In this study, a coarse to fine approach is proposed to interpret MFL measurements for continuous defect profiling. The coarse solution is implemented using a Gaussian Processes (GP) model and the fine approach is implemented using an unconstrained non-linear optimiser. This framework was tested on a 100 year old 600mm diameter cast iron pipe line. Some pipe sections were extracted, grit blasted and profiled using a sub millimetre accurate 3 - D laser scanner. The coarse to fine predictions were compared with the laser measured ground truth with just 1.2 mm RMS error. Magnetic Flux Leakage (MFL) technology has been used in non-destructive testing for more than three decades. There have been several publications in detecting and sizing defects on metal pipes using machine learning techniques. Most of these literature focus on isolated defects, which is far from the real scenario.